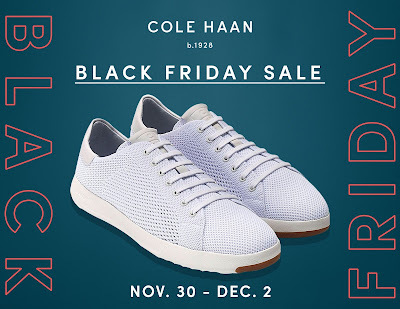 Shop at Cole Haan's annual #BlackFriday Sale and get up to 50% off on selected items until December 2, 2018. 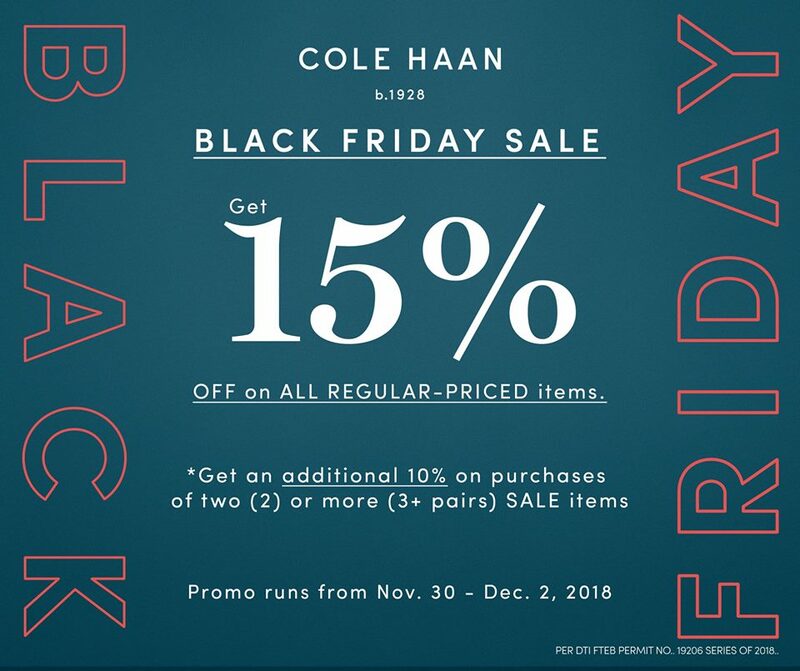 Get also 15% off on all regular-priced items, and an additional 10% discount on purchases of 2 or more Sale items! Head over to any Cole Haan Philippines store: Rockwell Powerplant Mall, Glorietta 4, Shangri-la Plaza, One Bonifacio High Street Mall, SM Aura Premier, Ayala Malls The 30th, Ayala Malls Vertis North, S’Maison Conrad, Festival Supermall, and SM San Lazaro.